In the simplest sense, Zakat means purification – it is completed by donating a set amount of an individual’s wealth to those in need. 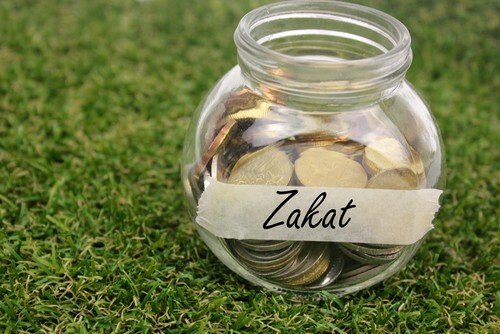 Donating Zakat will purify the soul and help the individual attain closeness to Allah (SWT). In addition to the personal benefits, Zakat also has the ability to change the lives of countless people around the world for the better. This simple act of worship and humility has the power to provide support and assistance for vulnerable people throughout the world, whether it is through emergency relief, charity appeals, food aid or otherwise. Although it is not compulsory to donate your Zakat during the blessed month of Ramadan, the rewards for giving Zakat during this time are greatly multiplied. Giving Zakat can bring numerous rewards – the Holy Qur’an explains that kindness and generosity will benefit both the giver and the recipient. Although Zakat ul fitr is an obligatory act upon all able Muslims, it serves to remind us of the importance of completing charitable acts throughout our lives. Every good deed and act of kindness or generosity that we complete has the ability to bring immeasurable rewards, both now and in the Hereafter. Zakat provides us with the perfect means to support our brothers and sisters around the world, sharing our own wealth and blessings. You have been trusting us with your Zakat for 27 years; donate to Human Relief Foundation to change the lives of vulnerable people across the world this Ramadan.